In 1420, it seemed that decades of bloodshed and warfare were finally over. Just years earlier, Henry V had led England to victory at the battle of Agincourt in 1415, and with the French at the mercy of England’s warrior king, Charles VI of France had no choice but to cede the succession of the throne to his fearsome foe at the Treaty of Troyes. But by 1422, both nations were plunged into turmoil. Henry was dead, and Charles followed him to the grave just months later. The battle for supremacy was reignited, and Europe was once again plunged into war. 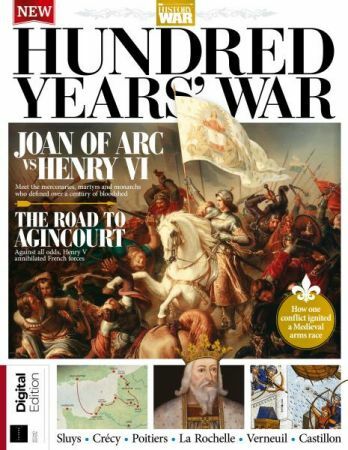 In the Book of the Hundred Years’ War, find out how the roots of the conflict stem back to the Norman Conquest of 1066, meet the monarchs and mercenaries who fought for the ultimate prize, and discover the brutal battles that shaped over a century of warfare.